What to Expect With Guided Dental Implants? If you’re preparing for your upcoming procedure for guided dental implants in Independence, we know you’re excited. Anyone who’s ever dealt with tooth loss knows how thrilling the thought of a restored smile is — and Independence Family Dentistry has helped hundreds of patients enjoy complete smiles once again. Dr. Danny Nakhla uses the Galileos Cone Beam and computer modeling software to guide the implantation for better, more precise results. 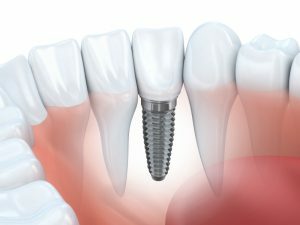 What can you expect with the guided dental implant procedure? Let’s take a closer look. To begin your procedure for guided dental implants, we’ll take 3D images of your oral structures using the Galileos Cone Beam. This tool gives us a far more precise, deeper look into your mouth and jaw — areas that before could only be seen during the surgery. But with all the information we need gathered beforehand, we can plan a more effective treatment from the get-go. We’ll take the information we have and put together a real-life model of your jaw, which will serve as the guide to your surgery, helping us identify the prime location for each dental implant. This 3D model of your jaw will also be sent off to the lab for the creation of your new tooth replacement device. The procedure for dental implants is performed under local anesthesia. We’ll place the prepared model over your jaw and allow it to guide the placement of your new dental implants. Once each device has been implanted, your replacement teeth can be placed on top the very same day. This method is the safest, most effective way of placing dental implants. There’s a reason we prefer guided dental implants — because this procedure offers the most precise, consistent results. We’ve listed just a few of the additional benefits of guided dental implants below. Dr. Nakhla is the implant dentist our community trusts for guided dental implants. If you have remaining questions surrounding an upcoming procedure for guided dental implants in Cincinnati, or if you’d like to discuss whether or not this option may be right for completing your smile, please don’t wait to get in touch with our office. Request your appointment at Independence Family Dentistry today! Comments Off on What to Expect With Guided Dental Implants?